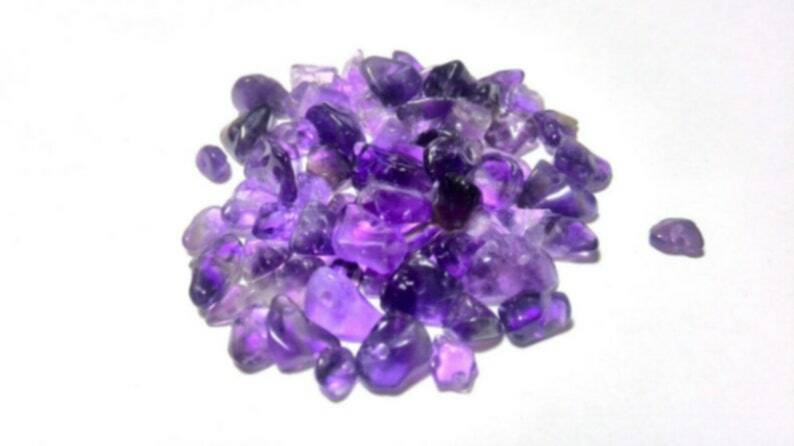 125 chips of amethyst from 5 to 7 mm approx each to make jewelry or other type of creation. Amethyst promotes spiritual growth, concentration and meditation. Soothes the anguish and anger. It is effective for insomnia and nightmares. It is excellent against headaches. Feather earrings with Amethyst chips. Cross with silver aluminum wire and Amethyst chips stones.